THE Food Reserve Agency (FRA) has so far spent K43, 306,773 to pay farmers who have supplied it with maize during the on-going 2015/2016 crop marketing season. FRA public relations officer Daniel M’soka said that Northern Province had the highest maize tonnage harvesting of 1,286,360 followed by Luapula with 1,038,080. He further said Muchinga recorded third at 734,580 and North Western Province was at 689,840 bags so far. He also said it was however too early to determine whether the agency would meet the target in maize purchases as it had only bought 22 percent of the maize thus far. He said that as at 25th August, 2016, the agency had bought 220,404 metric tonnes of white maize which translates into 4,408,080 bags. Mr M’soka said the value of the crop bought so far was K374,686,290.00. Meanwhile, Mr. M’soka had identified smuggling of maize into neighbouring countries as the challenge the agency was facing during this year’s marketing season. “The smuggling of maize has resulted in the low purchase of the commodity at established Food Reserve Agency (FRA) depots especially in Eastern Province. 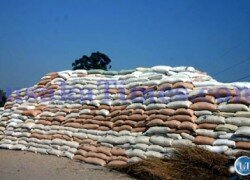 “The agency is targeting to buy 1,000,000 metric tonnes or 20,000,000 bags during 2015/2016 marketing season,” he said. 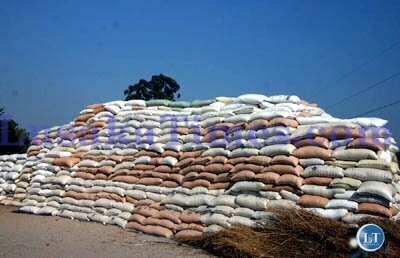 And Mumbwa district commissioner Felix Ndopu said 10,624 of 50kg bags of maize had been bought by FRA from his area as of September 02 2016. The commissioner however said only 615 bags had been paid for out of the 10,624 bags. “FRA maize purchase update as at 02/09/2016 is at 10,624 of 50kg bags but only 615 bags have been paid for. The process of FISP is on course and next week agro-dealers will be oriented in readiness to commence the distribution exercise,” he said.